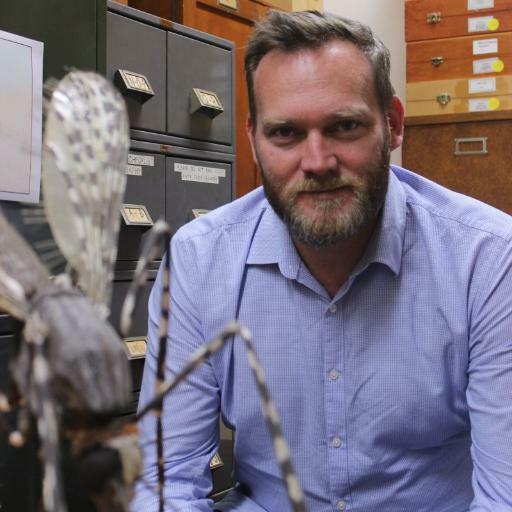 “Webb’s a mosquito researcher with NSW Health Pathology, and while it may sound like potentially the worst job in the world to the rest of us, it’s important work.” – Ten Daily, 14 Jan 2019. Every summer I’m required to juggle those pesky mosquitoes and help out with requests from media. Over the past 6 months or so I’ve responded to about 70 media requests and here is a round up of some fun highlights and other bits and pieces. There was a wide range of media requests this summer, from morning TV through to talkback radio, podcasts and live interviews via Skype. There was once a time when the only acceptable way to do a radio interview was via landline connected phone. This summer I did interviews via mobile, Skype, and various smartphone apps! Times are a changing. A fun segment on Channel 7’s ‘Sunrise’ breakfast show on why mosquitoes bite some people more than others; always a challenge taking in a cage a live mosquitoes to the studio, especially travelling in via public transport! A hot and dry summer must mean less mosquitoes, right? The outlook for the 2018-2019 “mosquito season” was for it to be fairly routine. The Bureau of Meteorology was predicting a hot and dry summer under the influence of El Nino. At the time I wrote a piece for The Conversation highlighting that just because it was dry, that didn’t mean we wouldn’t see plenty of mosquitoes. In coastal regions of Australia, tidal flooding of local wetlands often offsets any impact due to lack of rainfall. Mosquitoes such as Aedes vigilax certainly respond well and there were some very high mosquito numbers recorded in early spring. Usually, the media interest in mosquitoes starts increasing once the politicians break for the summer, this year there was plenty of interest early on! NSW Health also issued a media release to get the community thinking about the potential mosquito impacts ahead of the summer holiday period and asked me to be the spokesperson. These warnings often prompt a different range of media interest, usually news bulletins for radio. Unlike the traditional radio interviews in which you’re responding to the host’s questions, only “grabs” (short statements regarding the topic) are required. I’ve learned there is a fine art to being concise in these statements and it pays to give some thought to what you’ll say ahead of calling up the news desk! Some of the media coverage in early summer was less about bites and more about why mosquitoes disturb your sleep! I spoke with Channel Ten about how you can beat these bedroom buzzers! Here are some tips on beating the buzz of mosquitoes in the bedroom. These concerns about mosquitoes in the bedroom prompted questions about the suitability of mosquito coils as a person protection measures. I’d written about this issue before but there was also some media coverage at the Daily Telegraph and Sydney Morning Herald. As summer kicked in, I did a bunch of “pre-season” interviews about the outlook for the mosquito activity ahead. One of them was with the Sydney Morning Herald. There was also a piece in Illawarra Murcury on the mosquitoes around Newcastle. I even chatted with ABC Illawarra about the mosquitoes bringing in the new year along the NSW coast. I also chatted with the team at the Daily Mail. Also the Daily Telegraph. The usual coverage of mosquito impacts during the Australia Day holiday also popped up. Will my diet influence the likelihood of being bitten? I spoke with Channel Ten. The University of Sydney media team also put out a piece on why what you eat or drink makes not difference when it comes to stopping mosquito bites. A story picked up and republished by ABC News. While undertaking some work for Ballina Shire Council on the NSW far north coast, I helped out managing a few media requests associated with local mosquito problems and the work of council. It was fun squeezing in some print, TV, radio, and social media activities between the work in the wetlands. I also participated in a “Q and A” on the Ballina Shire Council Facebook page where residents could ask questions about how best to protect themselves from mosquitoes. See here. The detection of Ross River virus in mosquitoes around Sydney sparked some additional interest from media (and anxiety from local community). Coverage in Sydney Morning Herald here. It prompted me to write an article about what the actual health implications were of finding the pathogen in a heavily urbanised areas such as the Parramatta River compared to the more bushland dominated Georges River. The issue of wildlife and their role in urban transmission cycles of Ross River virus is always a tricky one. How do you balance wildlife conservation and mitigation of health risks? Together will colleagues I wrote about this at The Conversation. The media coverage of the Ross River virus detection provided an opportunity for NSW Health Pathology to share some insights into how we research local mosquitoes and the pathogens they’re carrying. See below for a short video from the mangroves along the Parramatta River. One of the other stories bubbling along during the last year or so were the reports of declining global insect populations. I first spoke to the media about this issue back in early 2018. I was quoted in a couple of other stories too, clearly there was a lot of interest in this issue. This story gained plenty of attention and I spoke with various radio and print media about this challenge were facing with potential insect declines and how we can measure them. I even wrote an article about whether mosquitoes may be in decline too! I spoke about this issue, and more generally about mosquitoes on an episode of the Science on Top podcast too. There has been suggestions that insecticides may be contributing to declining insect populations. Earlier in the year, I was one of the coauthors of a paper that called for the need to better understand integrated pest control in our cities and become less reliant on insecticides. There was also an associated article at The Conversation. This was also republished at Domain. The incredible flooding around Townsville in far north QLD created some major concern. Despite some initial concerns about increased mosquito risk, there weren’t any substantial increases in mosquito-borne disease reported. I spoke to ABC News about the potential risks. The flooding that did trigger a big boost in mosquito numbers occurred in SE QLD and northern NSW. Local wetlands were inundated by tides and rain, resulting in some phenomenal numbers of mosquitoes in early autumn. I spoke to ABC and Great Lakes Advocate about the climatic factors that triggered this unusual mosquito activity. Everyone was on weather watch late in the season too. A few extra downpours prompted concerns about more increases in autumn mosquito populations. I spoke with Sydney Morning Herald after a particularly wet weekend in March. Finally, I helped the Australian Academy of Science make a video exploring why mosquitoes bite and how to stop them! Join the conversation on Twitter, did you catch me talking mosquitoes this summer? Did it help you protect your family from mosquito bites? Do outbreaks of mosquito-borne disease always follow floods? Water, water everywhere…and mosquitoes soon to follow. It makes sense that with more water you’ll get more mosquitoes and with more mosquitoes you’ll get more mosquito-borne disease. Right? Well, not always. With floods hitting parts of inland NSW, health authorities have issued warnings about mosquitoes and mosquito-borne disease. Western NSW, has been substantially impacted by flooding this month and the region has been declared a natural disaster zone. The Lachlan River at Forbes has reached a level not seen for 25 years. There is a lot of water about. 35,000 mega litres of water has also been released from Wyangala dam resulting in further flooding. There could be more to come as “Superstorm 2016” continues to bring rain to south-east Australia. Evacuations continue. The flooding has come at a time when the weather in warming up and there are already reports of mosquito numbers increasing. The biggest concern is that once the flood water recede, how long will pools of water remain, have mosquitoes got a “jump start”on the season? On the other side of the world, Hurricane Matthew is threatening Florida. The Bahamas and Haiti have already been hit and more than 2 million people in the US have been told to evacuate their homes. Flooding is expected. There is no doubt that mosquito populations can increase rapidly following flood. There is even a group of mosquitoes commonly called “floodwater mosquitoes“. The desiccation resistant eggs of these mosquitoes are laying dormant in the cracks and crevices of flood plains, just waiting for the water to arrive. When it floods, the eggs hatch and in about a week or so, swarms of mosquitoes emerge. For the most part, it isn’t immediately following the flooding, but in the weeks and even months following that can provide the most ideal conditions for mosquitoes. If temperatures aren’t high enough to drive rapid evaporation of ponding (or if additional rainfall keeps them topped up), mosquitoes can start building impressing population abundances. With more mosquitoes, the risk of mosquito-borne disease outbreak can increase. In 2011-2012, QLD, NSW and Victoria saw incredible flooding. For those of us working in the field of mosquito-borne disease, we’re well aware of what that flooding can cause. Our attention was sparked when stories starting coming out from locals about this being the biggest flooding since the 1970s. Why was this important? Following flooding in the 1970s, we saw one of the biggest outbreaks of the potentially fatal Murray Valley encephalitis virus Australia has seen. This outbreak, and the response to the actual and potential health impacts, was essentially the genesis of many mosquito-borne disease surveillance programs across the country. One of those programs was the NSW Arbovirus Surveillance and Mosquito Monitoring Program. Following the flooding in early 2012, there was a huge jump in mosquito populations in western NSW and one of the largest collections of mosquitoes in the history of the program was recorded with over 18,000 mosquitoes collected! Fortunately, we didn’t see any substantial activity of Muray Valley encephalitis virus but elsewhere in Australia, cases were reported. There is little doubt you need mosquitoes about for pathogen transmission. However, for many mosquito-borne diseases, the pathogens that cause the illness in people are naturally found in wildlife. Person to person transmission may occur but for pathogens such as West Nile virus, Ross River virus or Murray Valley encephalitis virus, the mosquitoes that inject their virus-filled saliva into people have bitten birds or mammals previously. The role of wildlife is important to consider as the flooding may influence mosquito populations but they can also influence wildlife. While kangaroos and wallabies may be adversely impacted by floods, flood waters can provide a major boost for waterbirds. In some instances, as is the case for Murray Valley encephalitis virus, floods provide ideal conditions for both mosquitoes and birds! Do floods really cause outbreaks of mosquito-borne disease? There are few studies that have demonstrated that outbreaks of mosquito-borne disease always occur following floods. Studies in North America had previously concluded that there wasn’t a direct link between hurricanes and flooding and mosquito-borne disease. But, that doesn’t mean there won’t potentially be a boost in nuisance-biting mosquitoes following flooding.There is often widespread spraying to control these pest mosquito populations. Interestingly, after Hurricane Katrina hit New Orleans in 2005, there was an increase in mosquito-borne disease with more than a 2-fold increase in West Nile neuroinvasive disease. However, other reports noted no significant increase in cases of either West Nile or St. Louis encephalitis viruses. Surveillance for 6 weeks following the hurricane, authorities found no arboviruses circulating in local mosquito populations. These results highlight that much more than water and mosquitoes are required for outbreaks of disease. In Australia, a recent review looked at the influence of flooding on cases of Ross River virus disease. They found that the evidence to support a positive association between flooding and RRV outbreaks is largely circumstantial. The trouble in predicting outbreaks of Ross River virus disease is that there can be complex biological, environmental and climatic drivers at work and, irrespective of local flooding, there may be other region-specific issues that either increase or decrease the potential for an outbreak. What should we expect in Australia as summer approaches? There is no doubt mosquito repellent will come in handy over the coming months. There are already reports of increased mosquito populations in some parts of the country. While nuisance-biting impacts will be a worry, if mosquito populations further increase following flooding, authorities need to remain mindful of a range of other health risks too. The good news is that unless higher than normal mosquito populations persist into the warmer months, we may not see major outbreaks of disease. It typically isn’t until November-December that we start to see pathogens circulate more widely among wildlife and mosquitoes. Hopefully, if some hot weather arrives, the flood waters will quickly evaporate and abundant mosquitoes populations won’t continue. Current outlooks suggest that between now and December 2016, south-eastern regions of Australia are likely to receive above average rainfall. Temperatures, though, are likely to be a little cooler than normal. We’re probably lucky that this cooler weather will keep the really big mosquito population increases that we saw a few years ago at bay. On balance, we’re expecting plenty of mosquitoes to be about as summer starts, hopefully not “mozziegeddon” but enough to ensure the community should stay aware of the health risks associated with mosquito bites and how best to avoid their bites. Have you seen mosquitoes about already this season? Join the conversation and tweet some shots of local mosquitoes!